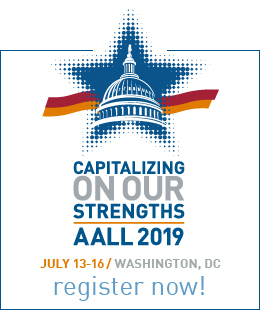 Do you wish you could do more to support AALL, but don't feel you are in a position to make a significant gift at this time? You are not alone. Many people use giving opportunities as a way to provide future support for their profession while still taking care of their financial needs today. If something happened to you, what would happen to your assets? Do you have a plan in place to make sure your property is distributed among the people you love and the organizations you trust? Have you thought about the tax consequences of leaving assets to your heirs? Taking some time to think through the different strategies and options now can create opportunities for you to combine your philanthropic wishes with current and future financial needs and cost-effective tax decisions. As your life changes with age, marriage, births or deaths, you should revisit your plans to make sure that they still reflect the legacy you want to leave. Thoughtfully planned gifts can make your wishes a reality and help AALL build long-term financial strength to carry out its mission well into the future. Planned gifts can take many forms, including bequests, life insurance, real estate, retirement accounts, and charitable trusts. For any type of planned gift, AALL recommends that you consult with an attorney and AALL to ensure your wishes can be properly carried out. A charitable bequest is the most traditional type of planned gift. By leaving a gift to AALL in your will or living trust, you can ensure that your philanthropic wishes are carried out while providing estate tax savings to your heirs. A bequest is a simple option for anyone that might not have the means to make a significant gift now but want to leave assets to AALL that can support grant and scholarship programs in the future. There is no limit to the size of bequest that you can make, and your entire gift will be free of estate tax. You can donate a specific dollar amount or asset, a percentage of your estate, or even provide for your family first and leave the remainder to AALL. However you choose to donate, your gift will help support the profession for future generations. I give and bequeath to the American Association of Law Libraries, a non-profit corporation established under the laws of the District of Columbia, (state percentage of estate, residue, sum of money, or otherwise described property). While you may keep your bequest confidential, sharing your wishes with AALL will ensure that they can be carried out as you intend, especially if you wish to fund a grant or scholarship program. 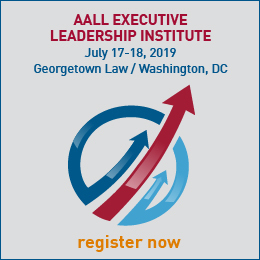 Please contact AALL Executive Director Kate Hagan to discuss these opportunities. Retirement accounts are one of the least tax-friendly assets to leave to your heirs, and thoughtful planning about these assets can help you divide your estate most efficiently. The IRS assesses both income and estate tax on retirement accounts left to family but passes the entire account tax-free if donated to charity. In order to make the most of your gift while providing for your family, you may wish to donate your retirement account(s) to AALL and leave other, tax-friendly assets to your family. To donate a retirement account, contact your plan provider to fill out a form making AALL the beneficiary of your account. It is important that AALL is named as the beneficiary of the account, rather than making a bequest of the retirement account. If you donate retirement account assets through a bequest, they will be taxed as part of your estate, thereby diminishing the value of your gift. You can also split up a retirement account between AALL and your family. Your plan manager can help you name multiple beneficiaries or contingent beneficiaries to ensure that all of your loved ones will be taken care of first. This will still provide partial tax-savings for the portion that is directed to charity. If you would like to establish a scholarship fund or grant program with your gift, please contact AALL Executive Director Kate Hagan to discuss the opportunities that may be available to you. Although many people do not realize it, a life insurance policy can be donated to charity. Perhaps you have a life insurance policy that is already paid for, but that you no longer need to support a spouse or adult child. If circumstances have changed since you first obtained your insurance policy, you may have more coverage than you need. By donating your existing policy, you can claim a tax deduction today and provide a valuable gift to AALL. In order to take full advantage of tax benefits, you will need to make AALL the irrevocable owner and beneficiary of your existing policy. If you want to make a significant contribution later, but still take care of your and your family's needs during your lifetime, you may be able to create a charitable remainder trust. Your attorney can help you create a charitable remainder trust and designate the appropriate beneficiaries and contingent beneficiaries to ensure your family is provided for. When you fund the trust with an initial principal of appreciated stock, cash, or another asset that may be heavily taxed, you will receive an initial tax deduction for the contribution. While the principal grows, you will receive annual payments to provide you, and your family if you choose, with a secure income. You will have the option to choose how payments will be calculated, whether you would like a fixed percentage each year, the actual yield of investments, or a fixed dollar amount. After the death of the last beneficiary, the remaining principal and any investment growth will be transferred to AALL free of any taxes. A charitable remainder trust is a smart investment option to maximize the power of your assets now and in the future as a gift to AALL. Example: Margaret has stocks that have appreciated significantly over the years and are now valued at $100,000 and yield a 2% dividend. She wants to increase her income in retirement, but is hesitant to sell the stocks because she knows she will have to pay capital gains tax. Margaret can transfer the stock to a charitable remainder trust and elect to receive payments of 5% of the trust assets annually. Not only will her income increase, but she will receive an income tax deduction for a portion of the charitable contribution. A charitable remainder trust allows you to maintain a lifetime income and allows your investment to grow tax-free for charity.